Hello, loves! Sorry for being inactive the last few days, but I have a lot to study for the end semester exams. It will be the same the next two weeks, but then I promise to make it up with the outfits and surprises. What do you think about my new vintage sunnies? Gosh, I love them so much! I received them yesterday from Firmoo (the biggest online eyeglass store!) as a gift and I'm so flattered! Don't say "hehe lucky you", because I have some good news for you, too! If you want to have them (or any other pair, check out the online catalogue here), you can get them for free (paying only for shipping)! If it's not a pretty cool surprise, I don't know what is! So don't miss your chance! Съжалявам за неактивността си през последните няколко дни, но е краят на семестъра тук, във Франция, и имам доста за учене. Следващите две седмици са ми пълни с изпити и положението ще е същото, но след това обещавам да се реванширам. Дори днес имам една изненада! 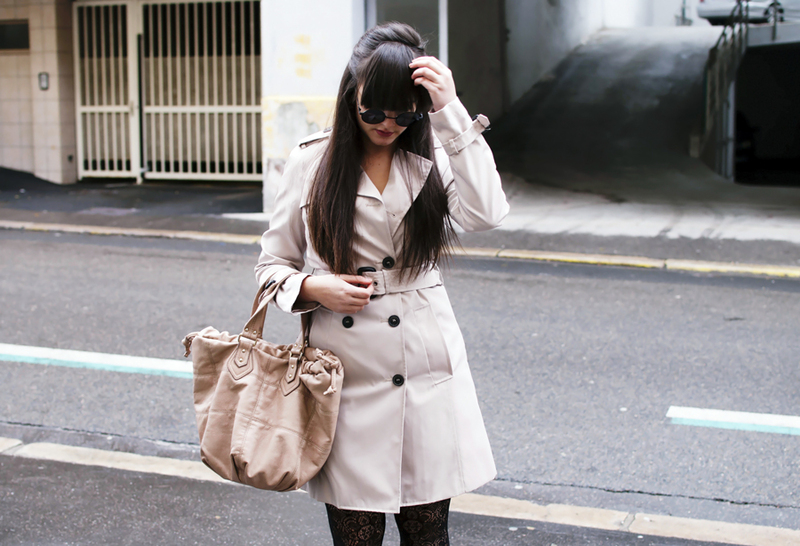 The tights are so feminine and pretty, great pairing with the chic trench! very chic and I love this look. Glad that you are back... You look amazing. you look amazing!love your outfit! the tights are absolutely stunning! Nicely combined! Such a sweety!! Страхотен аутфит и пост! А колко е цената на доставката? I love your outfit and your glasses! love your coat and your boots!!! Absolutely gorgeous outfit. Love it. Luv you look the boots, coat and tights, perfect! http://plovesbeauty.blogspot.pt/ - Follow me back? gorgeous look my dear! :) sorry for the missunderstood! I was alrady following you too for a while now! by the way, I have a new post now and would love to know your opinion on it!! one big kiss! happy week! I´m following you now on GFC and Bloglovin. I adore your tights, they add just the right amount of texture to a lovely outfit! Hi Savina! Amazing blog you have, thank you for visiting mine! 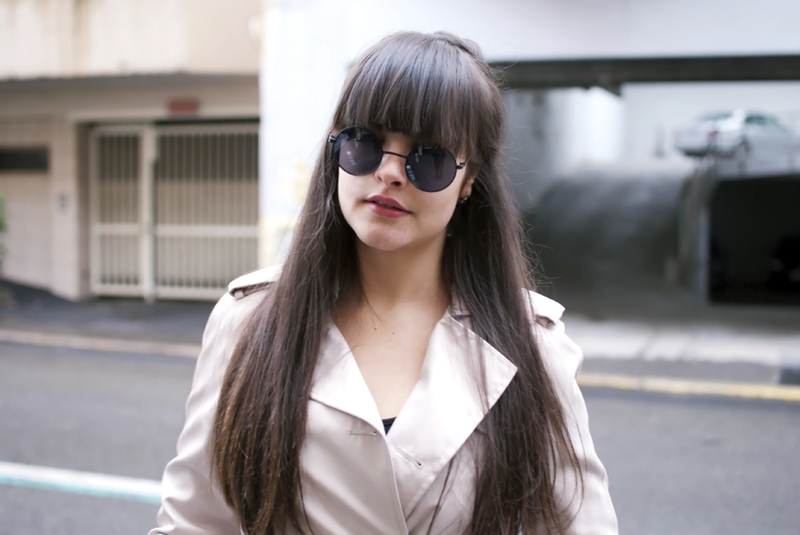 I love the trench as well as the snappy sunnies from Firmoo. Just followed you and hope to see you back soon. Thank you for the comment! Your blog is great! love the sunnies - but mostly i adore your hair! wish I could rock blunt bangs the way you do! You have some great fashion posts to follow! Hi Beauty, thank you for you nice comment, you have such a great blog! In love with your sunglasses! You look amazing dear! 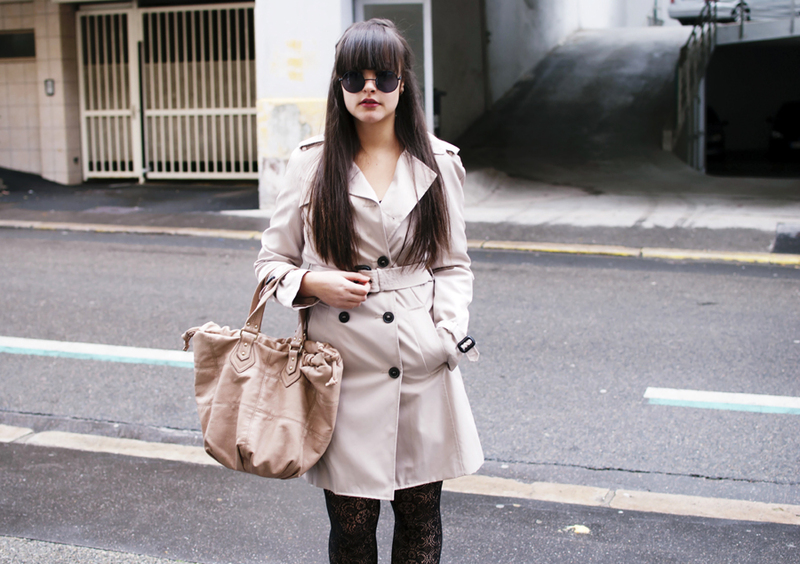 Love the trench coat and your glasses are so cute!! Would you like to follow each other on FB, bloglovin and twitter? Let me know!!! Beautiful trench!! In love with your fringe!! I love the trench, but ALSO such cool tights... I just did a blog post on patterned tights, actually! Where are yours from? thanks for visiting my blog, and sure i'd love for us to follow each other. I love your style ; ) I follow you ! Hi! Thank you so much for your comment on my blog! Of course we can follow each other :) Love your blog!! I started following you, so really hope you will do the same back! You have such a nice blog dude. And about not writing in english... I used to do that, but college is taking a lot of time from me, so I decided to keep it just in portuguese for a while, at least until things get in order again. 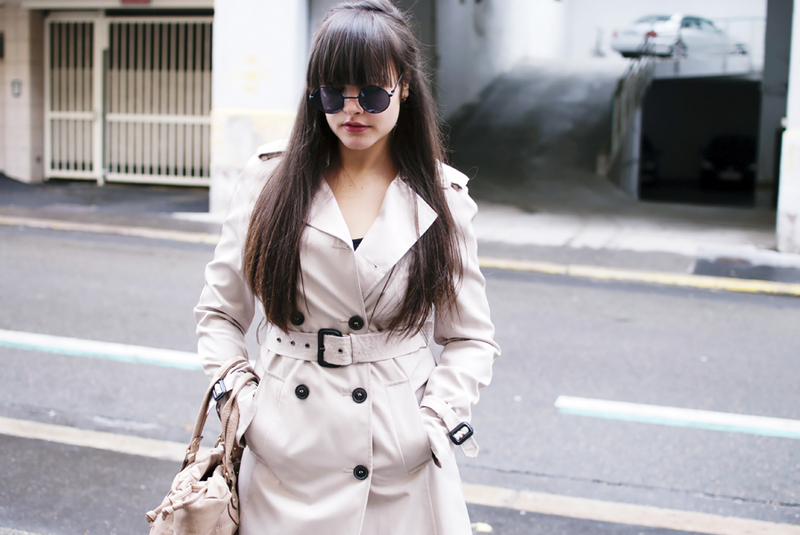 Love your trench coat - I need one like this! and your lace tights are so cute with those beautiful boots! Great look! I love your style. Following you now :) Please take a look at my blog and follow me too if you like ?? Wow I really love your blog! You are so cute! I following you now and will be glad if you follow me back! i love this outfit!! you look so good...very pretty !! soo cute wow i am in love with your style wow nice..